This is a post by Mark. 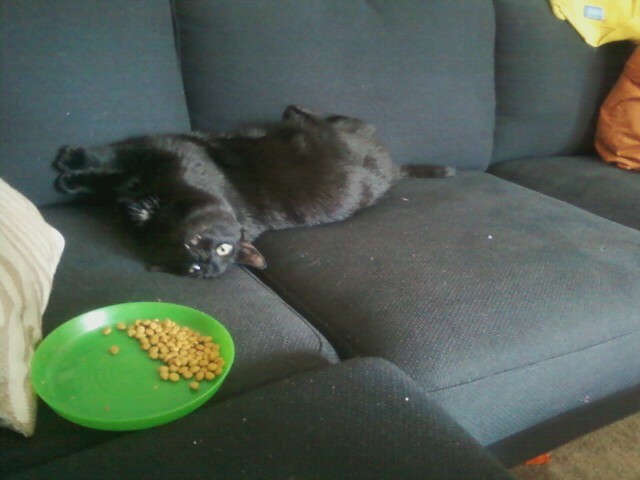 I have been recently putting Widje's food up on the couch next to me so that I can keep an eye on it. This is because Leeroy is a food-dominate-super-bully and will push Widje out of the way and eat his. 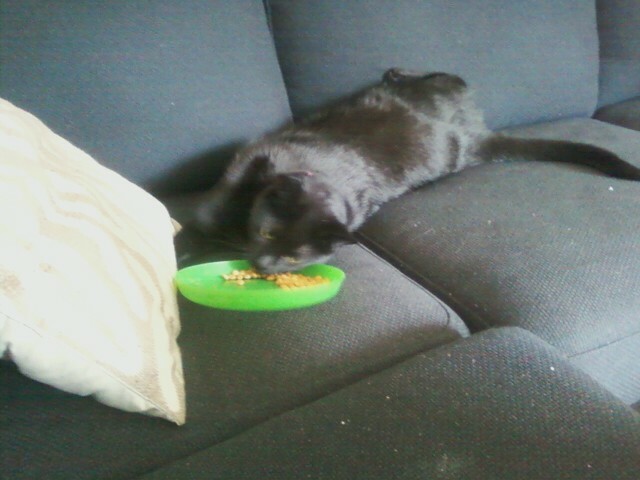 Widje is such a cool cat that he is nice enough to watch Leeroy eat all of his food. 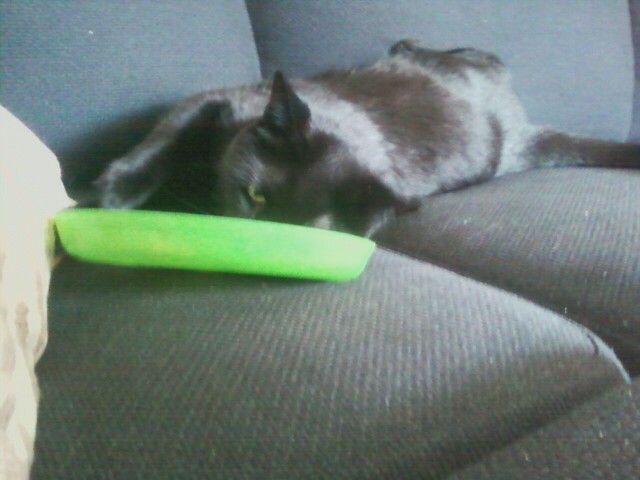 Leeroy attempts to look cute in order to gain access to Willie's food. This also got him passed the gate. Leeroy hones in on his target, after bribing the guards with his cat-ness. Leeroy slowly drags his dish toward his person, not tripping any alarms but failing to note the security camera caught the act. Leeroy must be caught stealing in order to be incarcerated in the jail-closet as a cat-burglar. The jailer allowed one bite for services rendered, and moved the assailant to the other side of the couch: using the dreaded sleep-rub to subdue the perp. 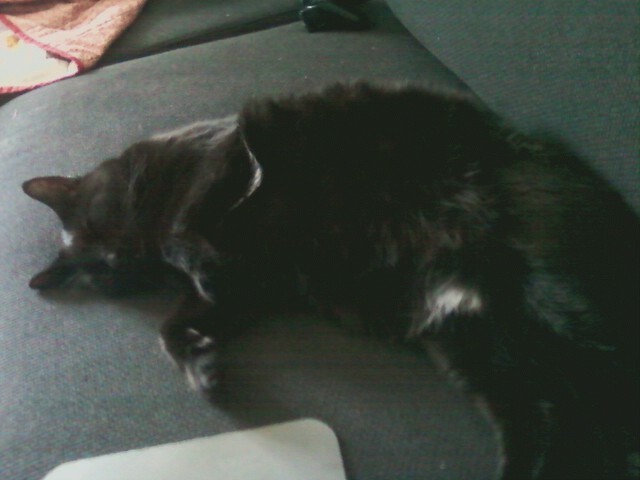 Upon closer inspection, the legendary cat-burglar was faking sleep. 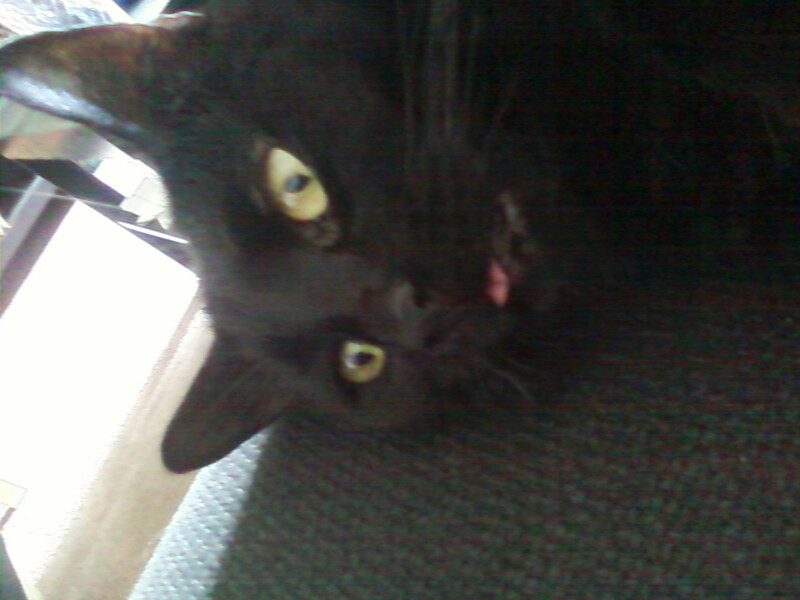 He was later caught collaborating in some form of Futuristic Mind-Meld, in which cats transfer knowledge. 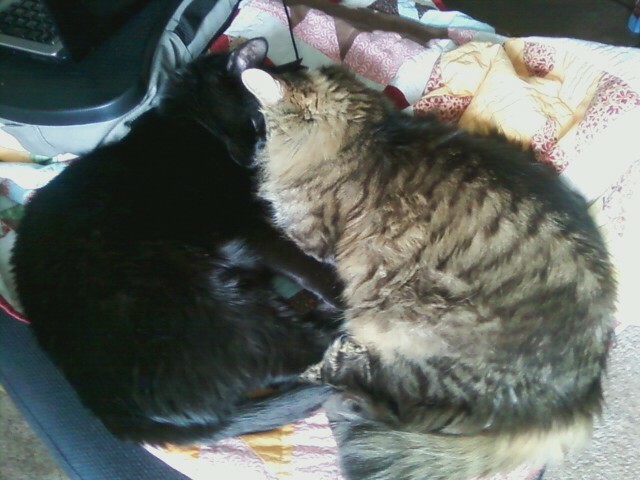 Note from Ellen #2: Look at that nice quilt that the cats are lounging on. Wow, what an exciting few weeks it has been! I know I announced it already in my last post but I won a giveaway! 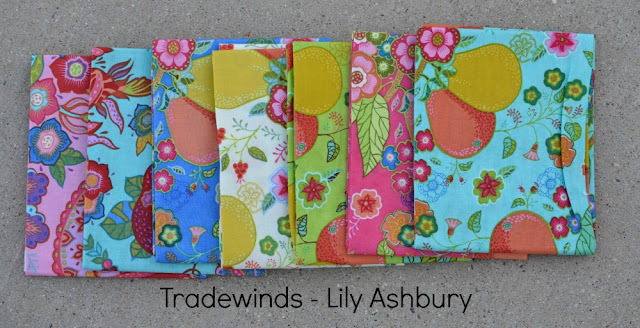 Julie from Jolie Maxtin sent me these lovely fat quarters of Lily Ashbury's Trade Winds and they are amazing! But then, guess what? I won another giveaway! Mollie Sparkles drew my number for his giveaway as well. He was giving away a bunch of pieces of random BROWN fabrics. 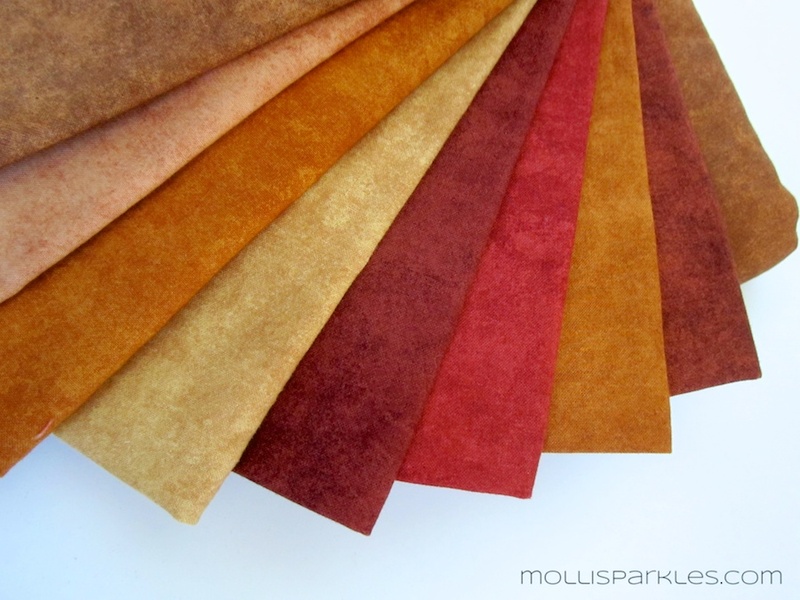 These will be a fun addition to my stash and I'm already trying to think of something fun I can make with all that brown fabric. Oh, and my package from him came all the way from Australia which was pretty cool! Don't worry - I didn't accept all of these winnings without giving back a few things myself. I was pretty excited about their generosity so I decided to send them a little surprise back. I picked up some of my favorite local candy and it is going in the mail right back to them. And to continue the give-back I also sewed up a set of 8 cloth napkins using Gingercake's tutorial and donated them to the raffle at a fundraiser for one of my favorite local non-profits, Permaganic. Their mission is to teach urban farming and art to under served youth. 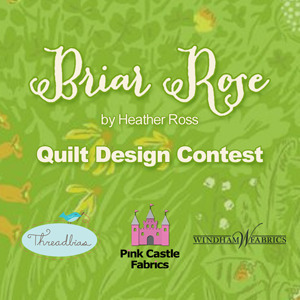 And then if that wasn't enough fun excitement I received an honorable mention in the Briar Rose Quilt Design finalist on Threadbias! 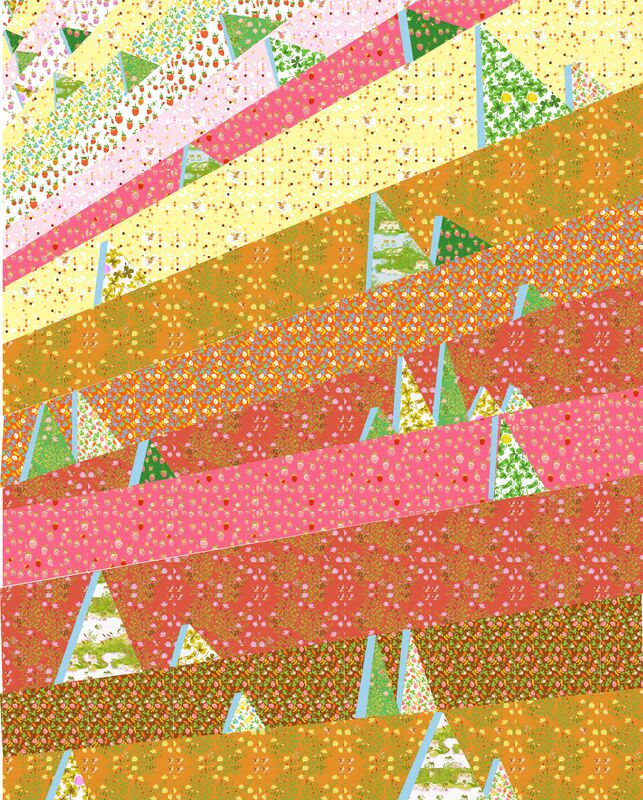 Threadbias has an online quilt design tool and they even have digital images of fabrics so you can upload them right into your design. It's pretty cool! And if all of this wasn't enough I spent the last week sipping on super delicious super spicy chai. I found a recipe from The Spice House and whipped it up. Thanks to my obsession with Colonel De's and my need to visit at least every other week I had all of the needed spices on hand. AND just because I like to maximize the amazing loving/healing powers of herbs and spices I added a some Turmeric for an extra blast of awesomeness. Woah! That was a lot of fun and I hope the excitement continues! A finish - a real and complete finish. My newly named "Leaf Peepers" quilt is finished - pieced, quilted AND bound - DONE! 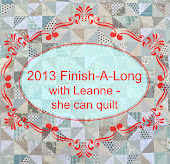 You first saw this quilt a few weeks back because it is #2 on my Finish-A-Long list. 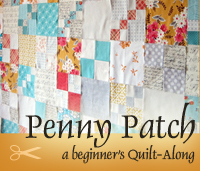 This quilt is so special to me because it is the VERY FIRST quilt top I EVER made! 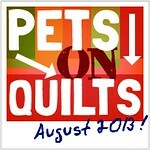 When I started quilting back around 2004 I pieced this top over a few days and I was hooked! It was right then I decided to make a quilt for another friend and put this one aside. Since this top I have completed two other queen size quilts (which I gave away) and pieced several tops ranging from king size to crib size but this one just stayed incomplete. 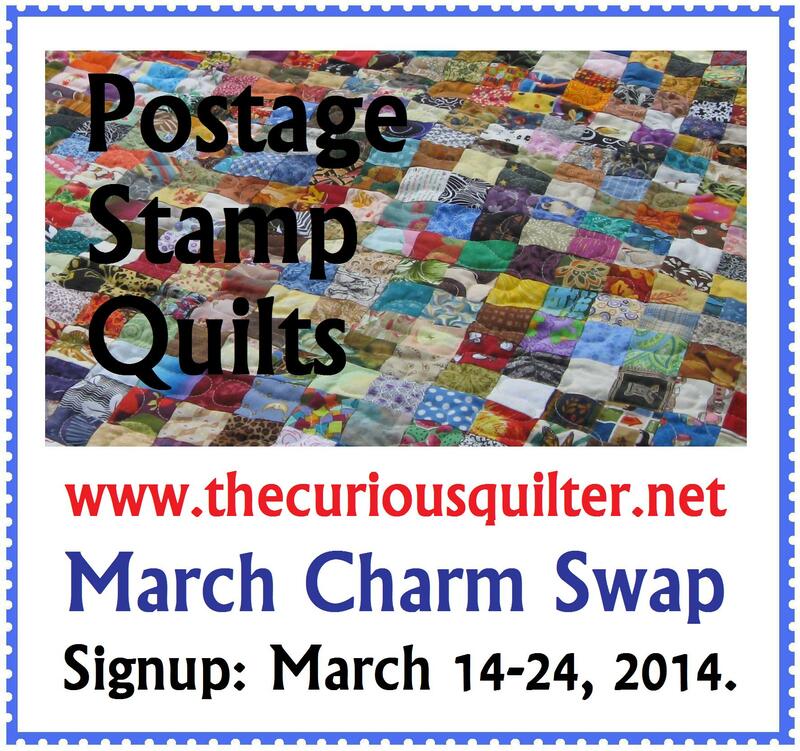 When I started digging out all of my craft stuff that had been packed into my parents basement to fill in my new craft space I pulled out this top and just about everything else quilt related I could find. It was then I started to panic. I had sewn on the side boarders but not the top and bottom but those pieces were nowhere to be found. I knew I had made them, I just hadn't sewn them on. So a few weeks later, I took another detour into the deepest depths of my parents basement and searched through all of the tubs of fabric and craft supplies to find the two boarder strips that belonged to this quilt. 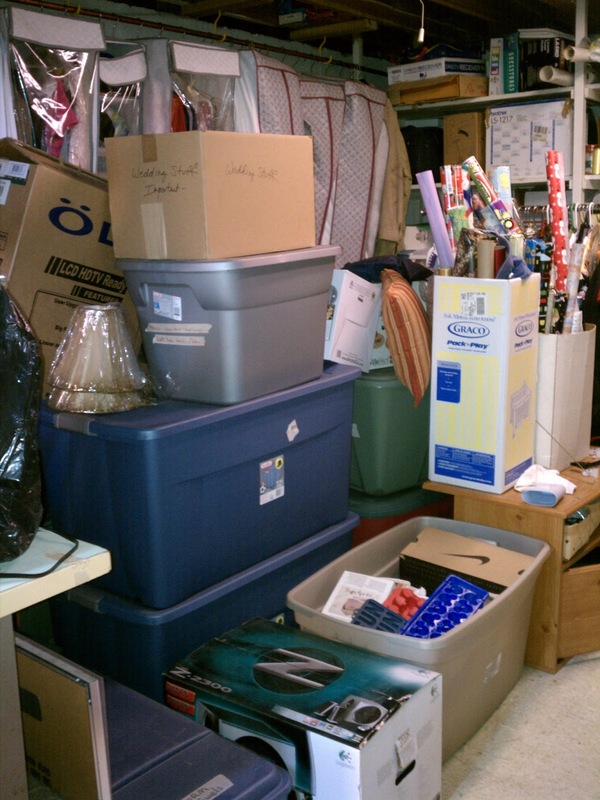 Finally, tucked amid a huge bin of fashion fabrics and floor cloth I found them. I was so glad because I only have one tiny scrap piece of the boarder fabric left and after 9 or so years I was pretty sure that buying more wasn't an option. I think the reason I never sewed the top and bottom pieces on was that I wanted to miter the corners on the outer cream boarder and I wasn't exactly sure how to do that. Of course all it took all these years later were a few minutes on google and it was done! Oh yeah! Guess what?! While I was writing this very post I was notified by Jolie Maxtin that I was the winner of her giveaway! 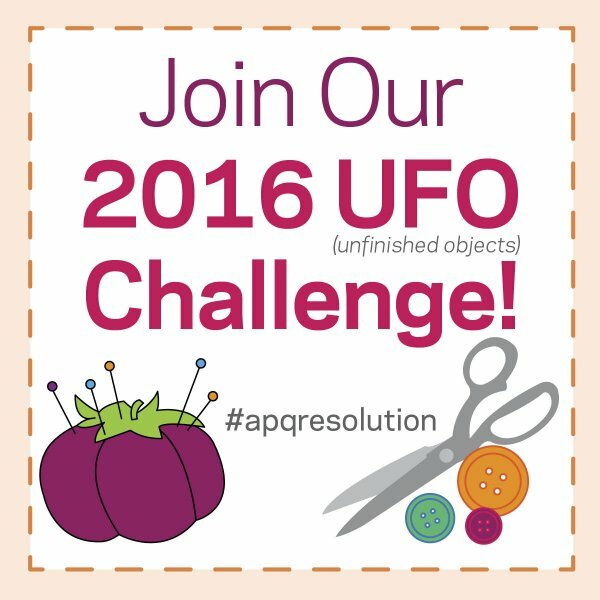 Head over to her blog HERE to find out what I won. Also, I know it is Saturday but I'm still going to link up to Finish It Up Friday at Crazy Mom Quilts and Finished Friday at Quilt Matters because this quilt was definitely finished last night!